Bridal Shower Themed Favor Tins with personalized stickers can be filled with M&M's, Jelly Beans, Mints and More! Personalized bridal shower themed favor tins come empty, with custom stickers, so you can fill with anything you would like. Our tins looks great when used as table decorations or as gifts on your candy buffet table. Fill your tins with M&M's, jelly beans, mints, potpourri, birdseed, bath soaps, bath salt, and much more! Tin stickers can match your bridal shower colors and theme. 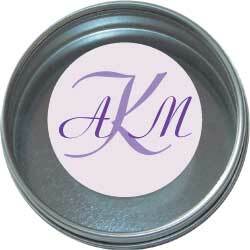 Our personalized bridal shower favor tins are an unforgettable favor at your shower. Create a unique favor so your friends and family can remember your special day. 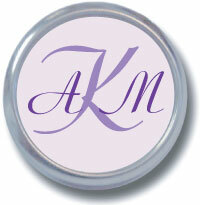 We offer many pre-designed tins which include your names, wedding date, and a graphic. Add a photograph of the bride and groom to for a truley unique bridal shower favor tin.